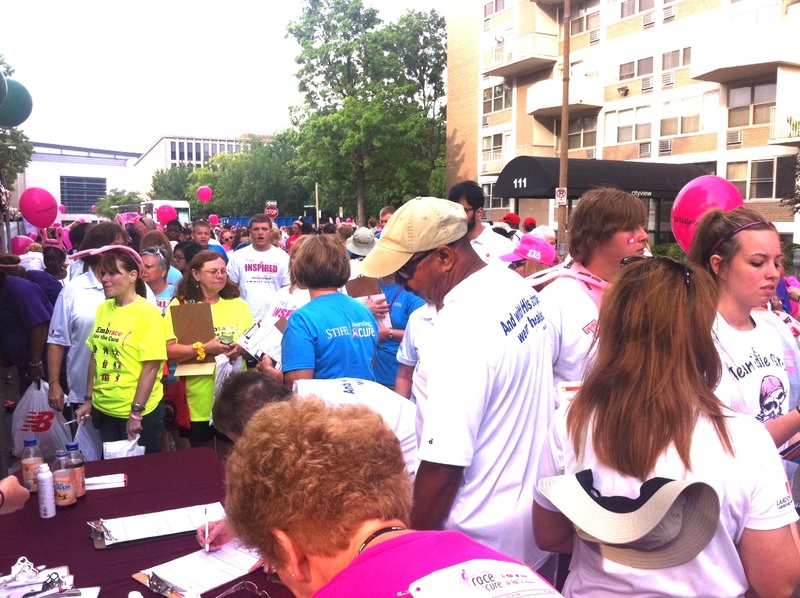 Photos from the Saturday, June 15, 2013 event. 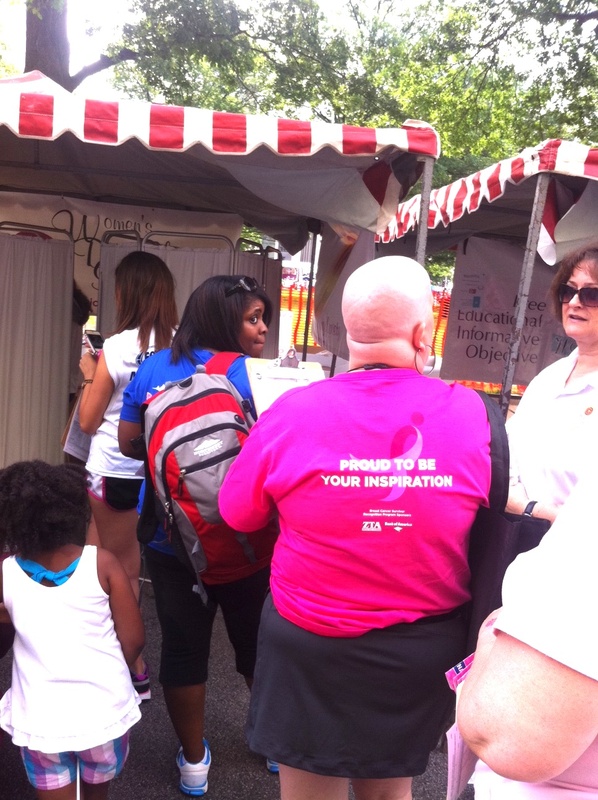 Marking our third year in a row at this jam-packed event in downtown St. Louis, the WDS Play Safe in the Sun screenings were greatly appreciated by this cancer-conscious community. 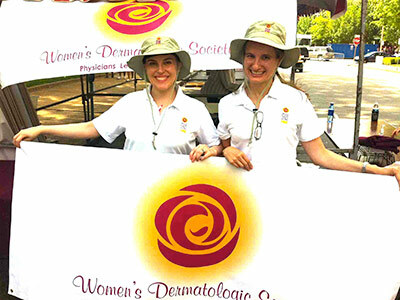 A record-breaking 187 free skin cancer screenings were provided to eager crowds in just four hours! 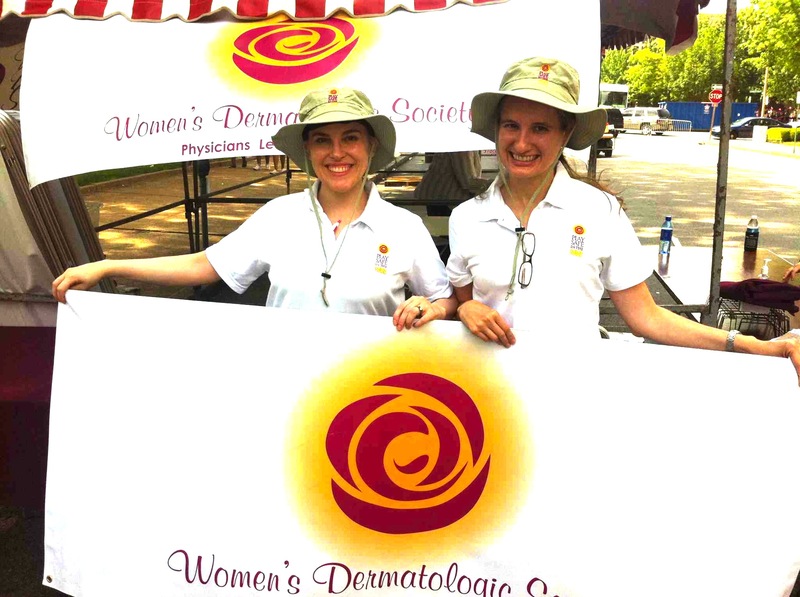 A huge round of thanks to event co-chairs Michele Tarbox, MD and Laurin Council, MD and all the other volunteers, including dermatologists Eva Hurst, MD, Kara Nunley, MD, Saadia Raza, MD, and Stacey Tull, MD, along with support volunteers Lori Atwood, Cierre Robinson, Mary Tabacchi, Eileen Newton, Rachel Govern, RN, Emily Stenger, CMA, Amanda Hunter, CMA, Syed Rahman and LRP rep Michelle Vass. 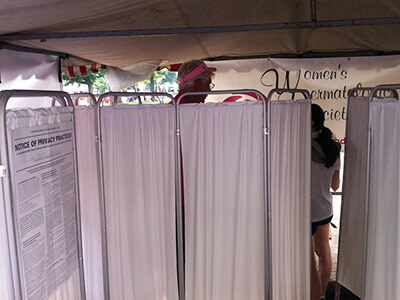 Husbands and dads went for screenings, urged by the women in their lives. 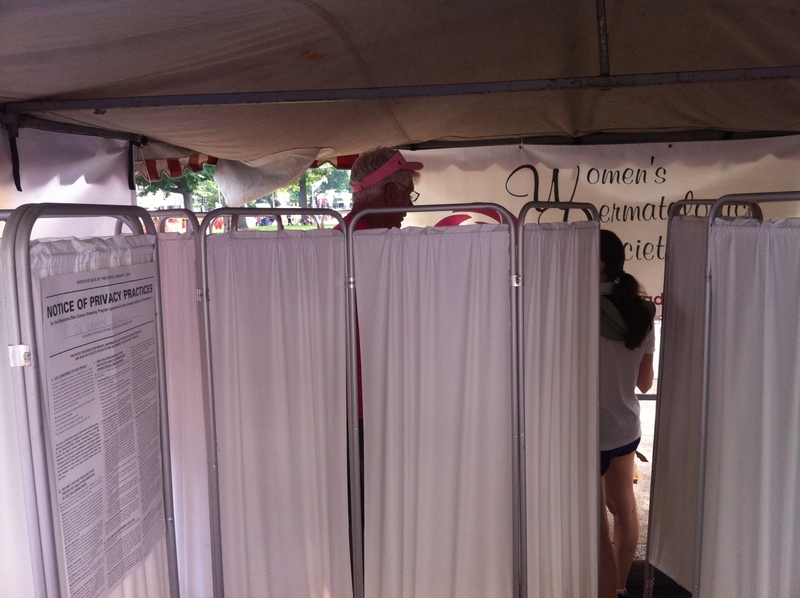 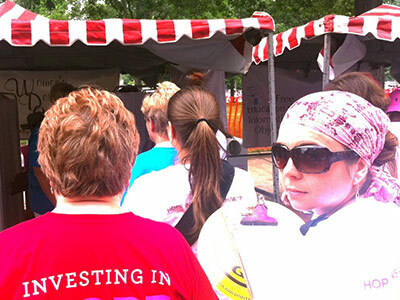 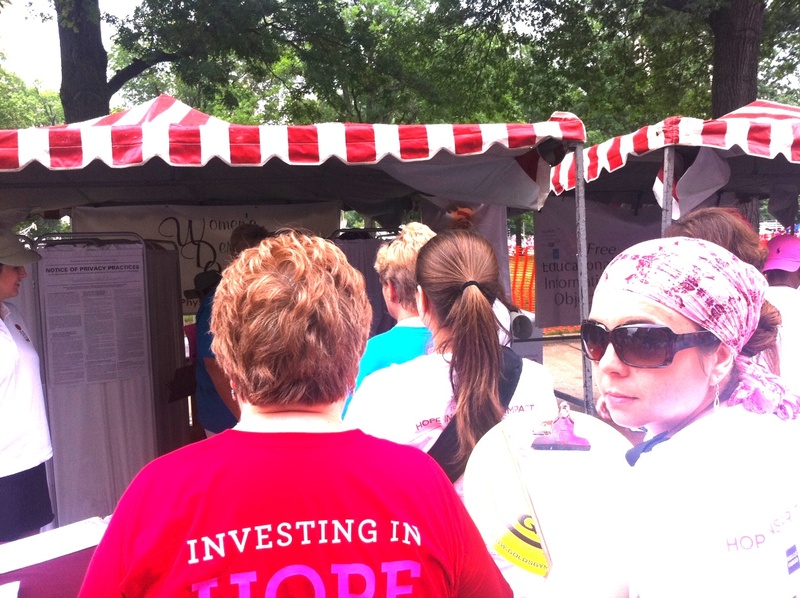 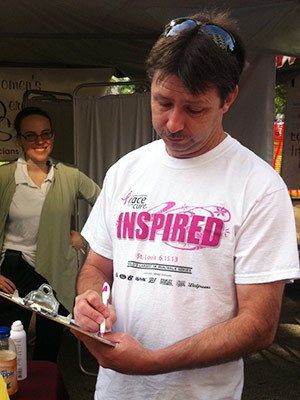 Men took part in the WDS screenings at the Komen Race for the Cure in St. Louis, too! 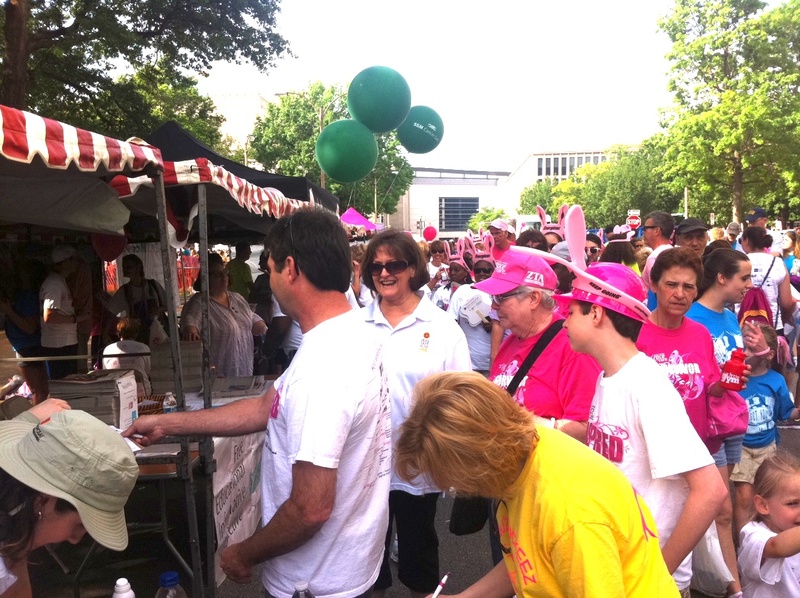 Mobbed from the start at the Komen Race for the Cure in downtown St. Louis. 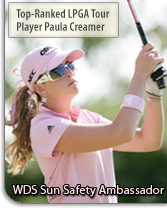 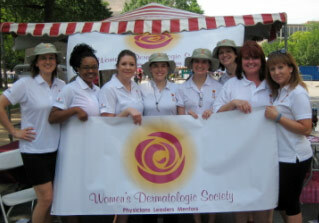 Serious about skin cancer prevention! 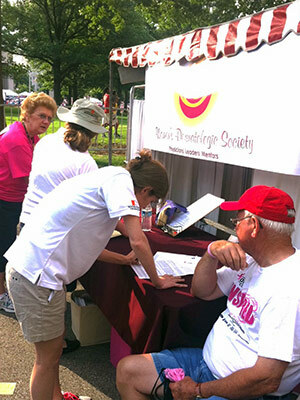 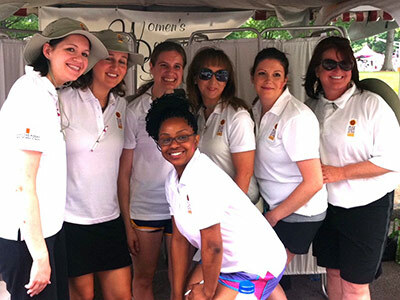 People of all ages and skin types came to the WDS tent for free skin cancer screenings conducted by St. Louis WDS members. 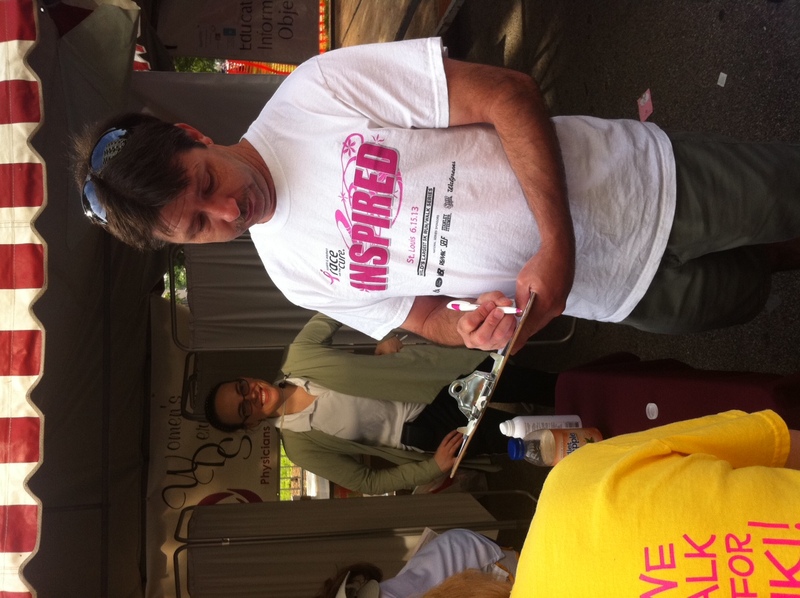 The breast cancer awareness crowd was very thankful for the screenings. 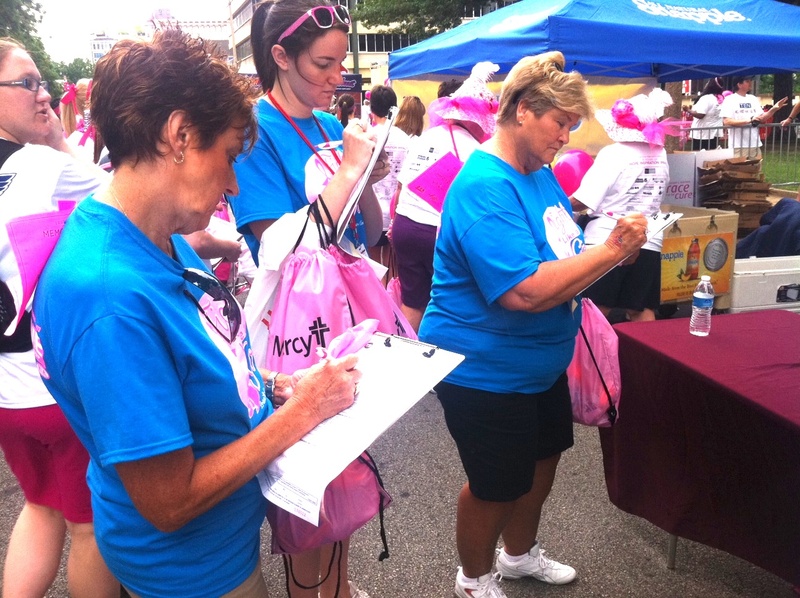 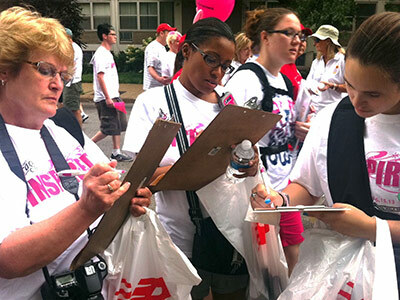 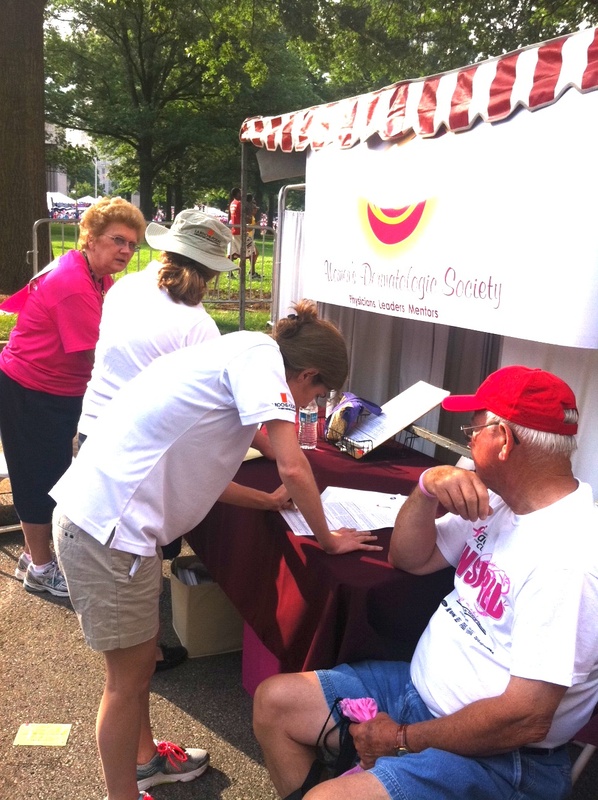 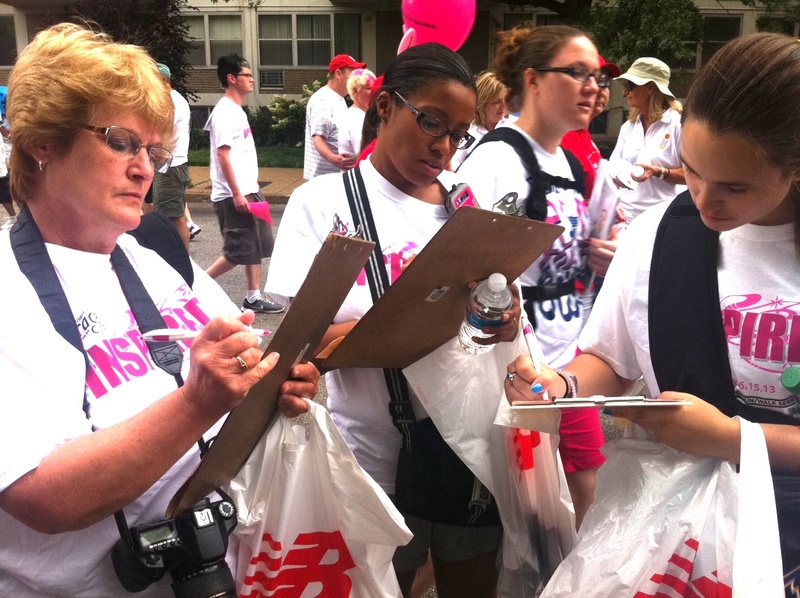 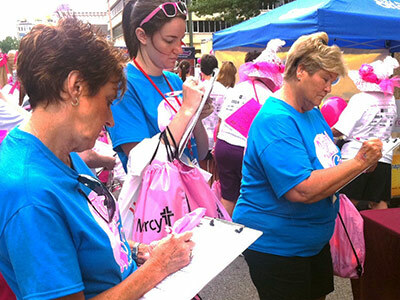 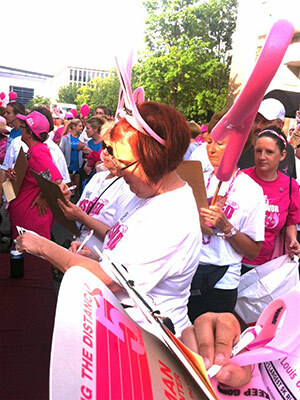 Signing up for screenings at the popular Komen event in downtown St. Louis. 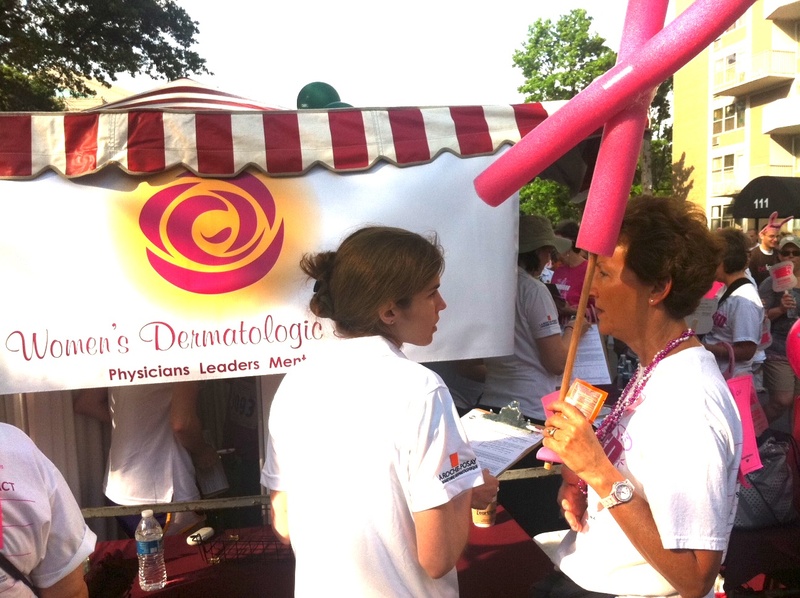 St. Louis event co-chairs Michele Tarbox, MD (left) and Laurin Council, MD after a big day of screenings at the Susan Komen Race for the Cure. 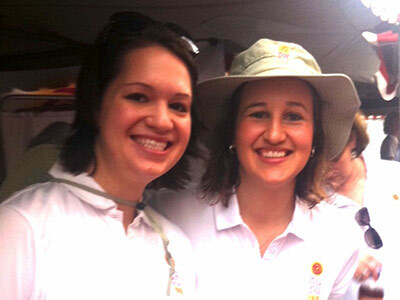 Thanks to you both and your wonderful team! 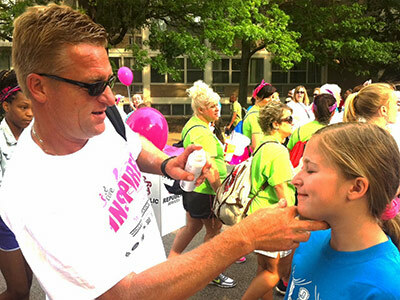 Sun safety was a big priority for this St. Louis dad. 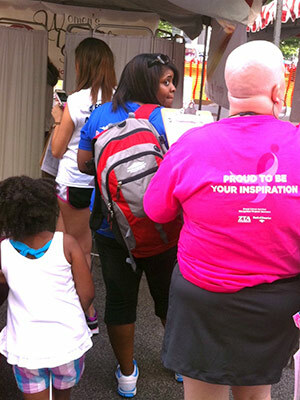 Thank you Team St. Louis for an amazing day of screenings--breaking new screening record for this popular event. 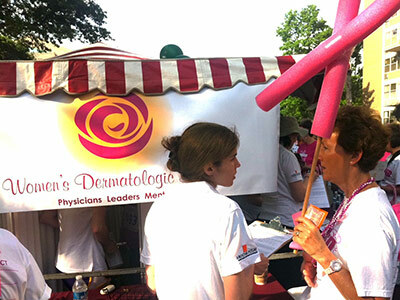 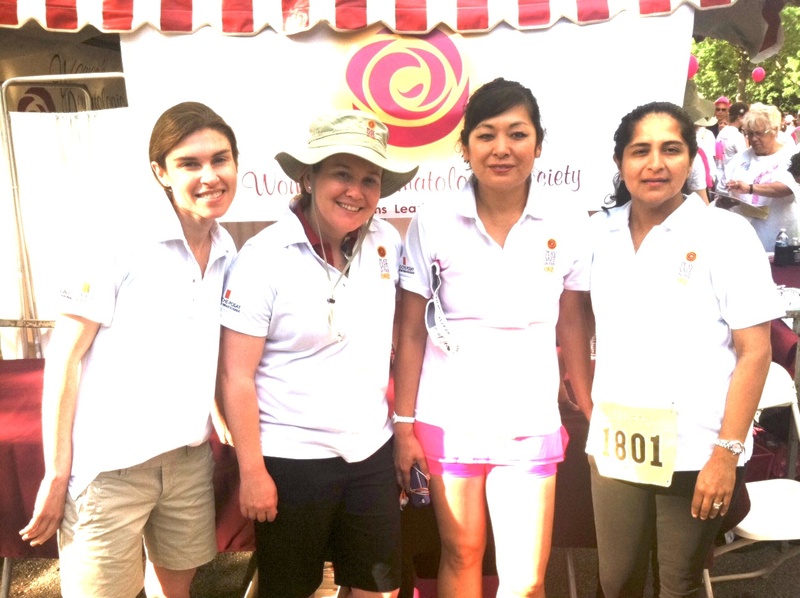 The early morning dermatologist team at the Komen event, from left- Drs. 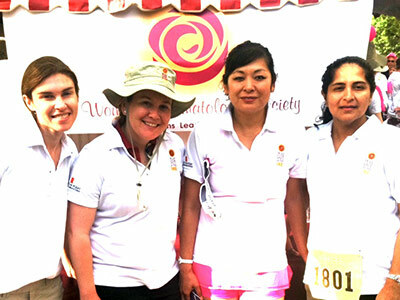 Kara Nunley, Eva Hurst, Stacey Hull and Saadia Raza. 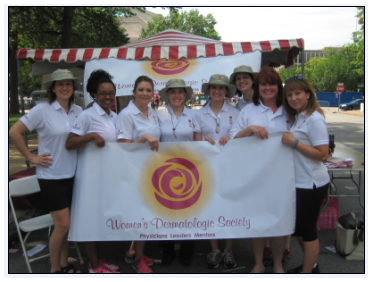 Thank you for your dedication and hard work! 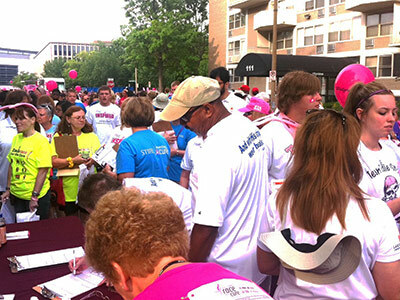 This event consistently attracts people who are very committed to cancer prevention and most appreciative of the free screenings. 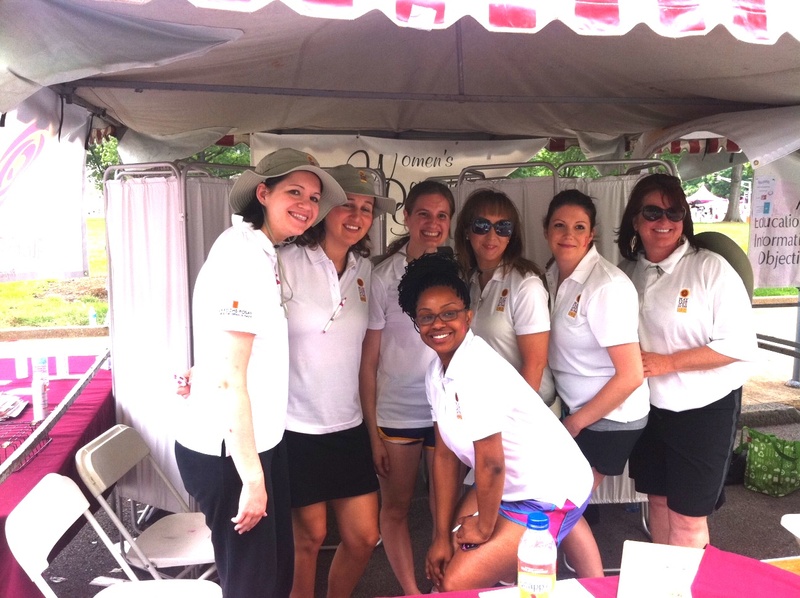 This was our third year in a row participating in this fantastic event. 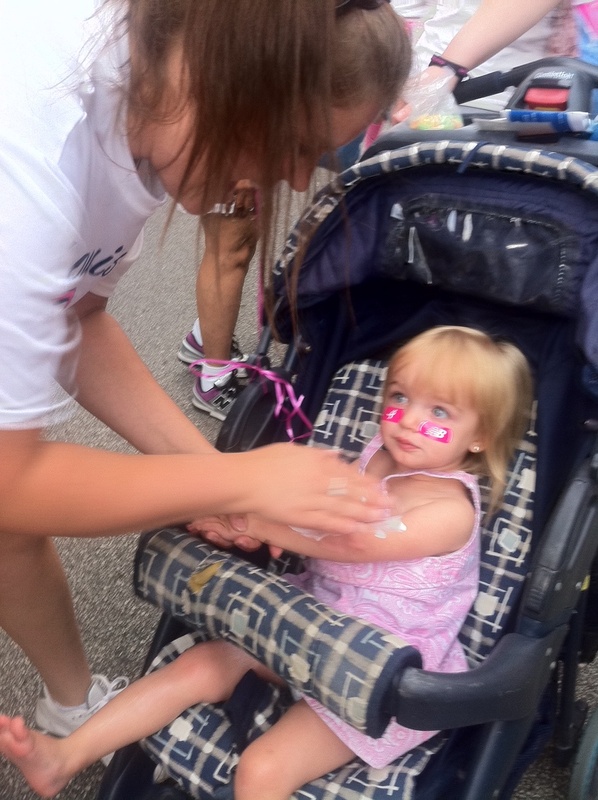 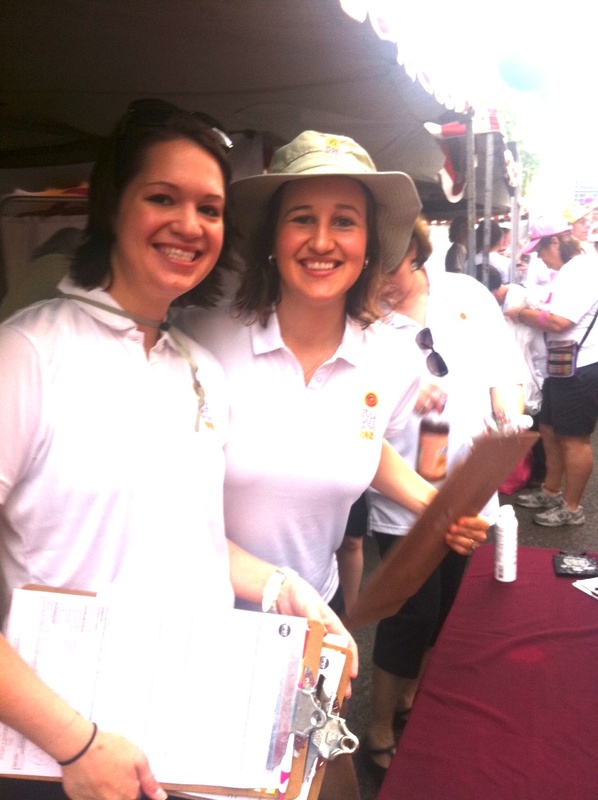 Tremendous support for the dermatologists was provided by volunteers like Emily Stenger,CMA and Rachel Govern, RN. 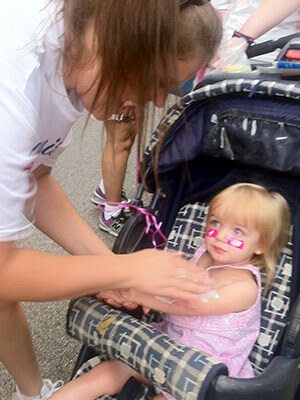 Visitors of all sizes came by for sunscreen! 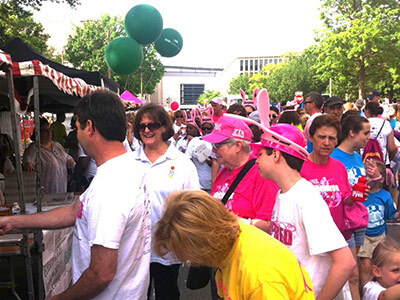 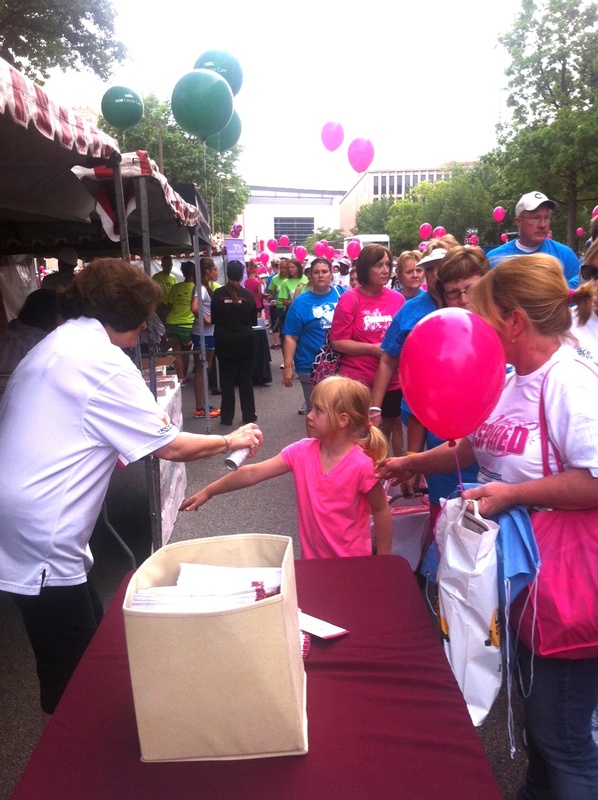 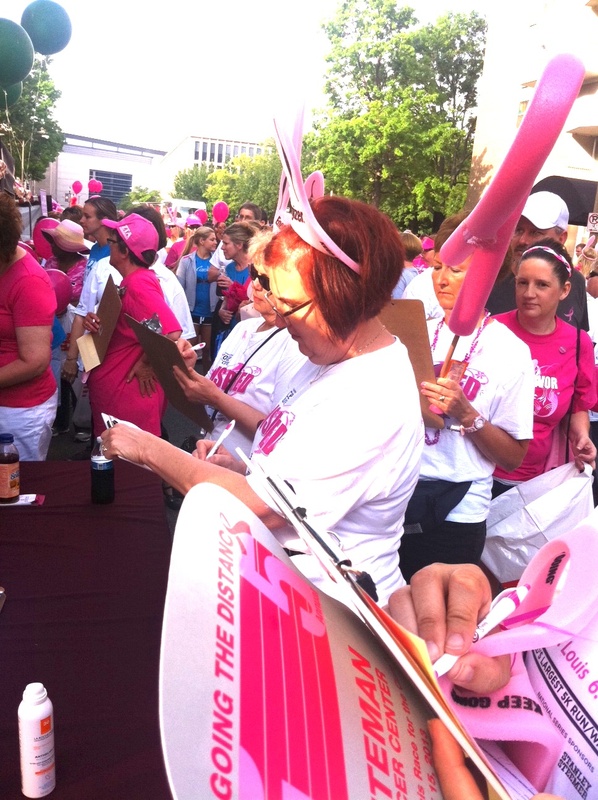 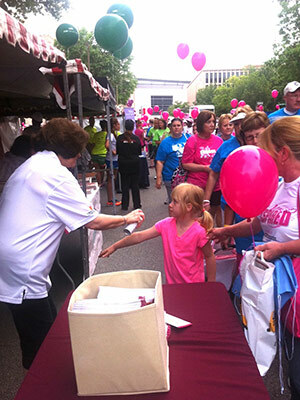 Wow, we were packed with eager people at the Komen Race for the Cure.